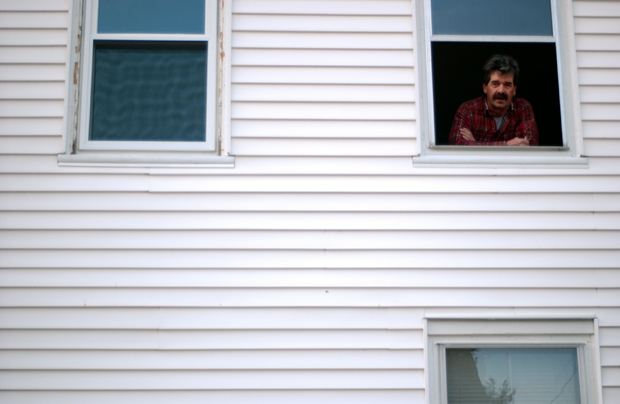 Ray from Poland Maine, land of Poland Springs, is putting new windows in my apartment in Augusta Maine. The improvement might lower the heating bill for my landlords. 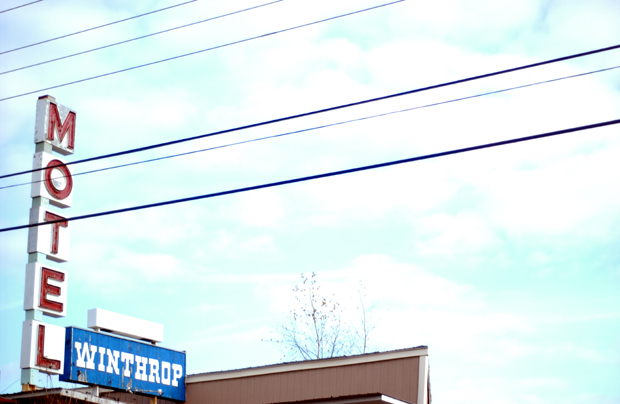 Winthrop is a cool little town east on Route 202 out of Augusta. 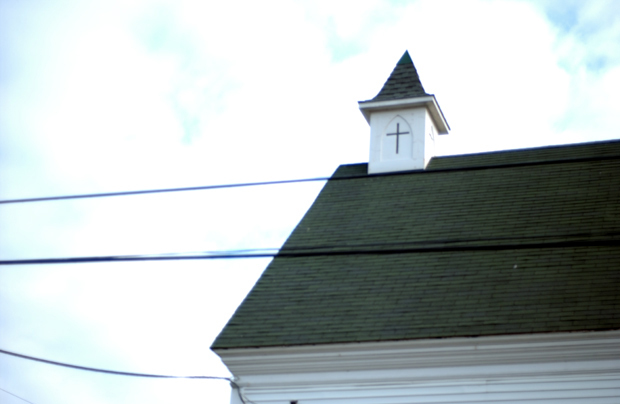 Maine is filled with cool little towns. 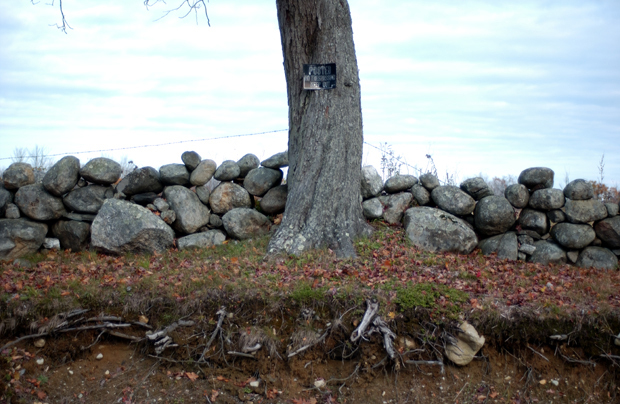 Augusta Maine is well-located for gas-burners, day trips, road trips, short ventures, jaunts, romps, and 4x2-ing. An Agricultural Building Many Maine buildings can be described as agricultural. 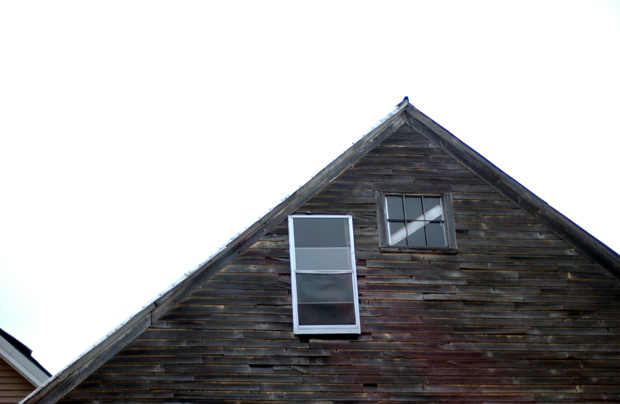 Many Maine houses are connected directly to their sheds and barns. The worst condition of this I've seen, which it appears has long since been empty of its flock, was a farm house connected directly to a long chicken barn. I wonder what living with that much nitrogen would do to a person? 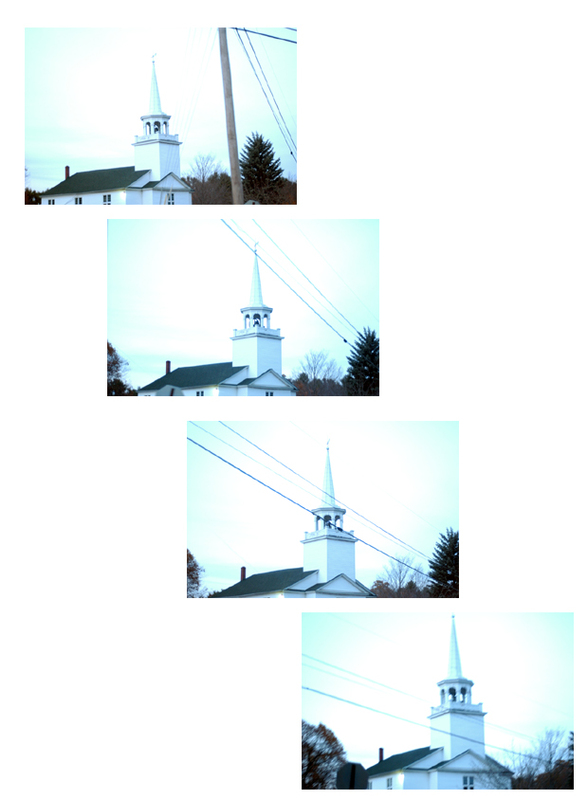 Maine Churche: New England Camera fodder. A Cross Section of Maineland soil. Dale Johnson an independent film producer showed his film 'Venture to Alaska' at the Sawyer Foundation on Sawyer Road in Greene Maine. Maine Boats: on land in winter. 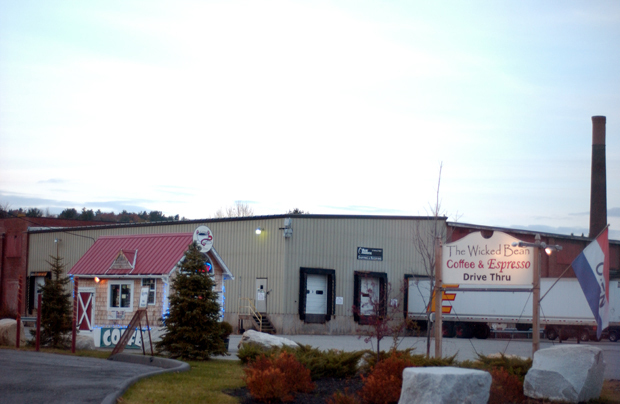 The Wicked Bean: I went to The Wicked Bean coffee hut in Winthrop Maine. I talked to the owner Dave and told him about some photo in my portfolio about the coffee huts in Eugene Oregon. Dave lived in Eugene for a number of years and moved back to Maine. He said Eugene is where he got the idea for his own coffee hut. Wicked great coffee here. It must be made with brackish water! They don't have brackish water in Eugene Oregon.